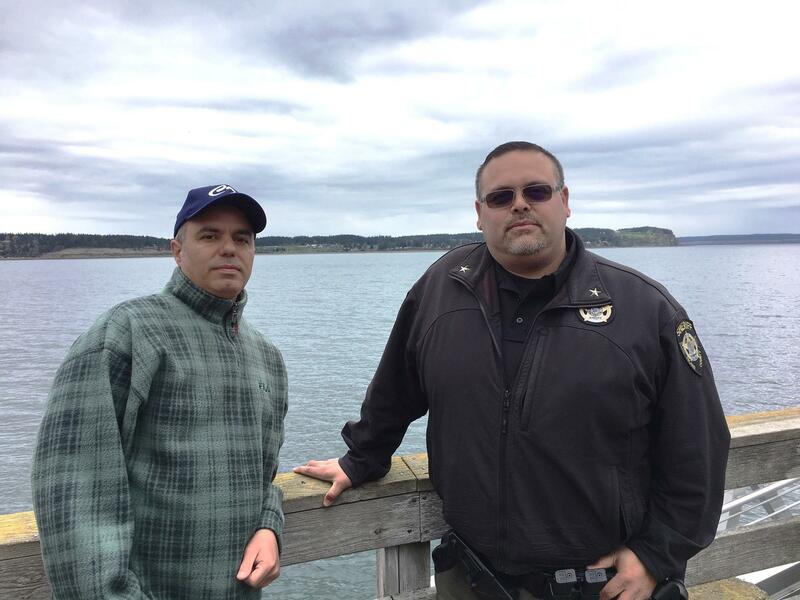 Fred Farris, the father of Keaton Farris, and Island County Jail Chief Jose Briones pose together on the Coupeville Wharf. Farris’ death proved a galvanizing event. His family and supporters picketed the jail demanding accountability. The jail’s director was suspended and a lieutenant was fired (she was later reinstated, but demoted in rank) after a sheriff’s investigation found that staff and supervisors failed to follow their own policies and procedures. Farris’ parents filed a lawsuit which they settled for $4 million. Later, two jail officers were charged with falsifying the log sheet showing how often Farris had been checked. “He was stressed out about it, but he told me at that point he's really happy,” Farris said. “I'm grateful for that hug,” Farris said.